You are here:Home » Category: "Latest news"
Push the Boat Out 2015 starts tomorrow! Pratical Boat Owner: This weekend marks the start of RYA Push the Boat 2015 with sailing clubs and training centres across the nation offering free and discounted taster opportunities for all to ‘have a go’. 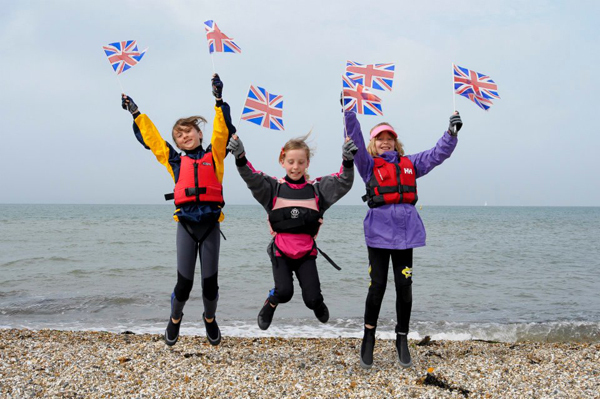 More than 340 venues will be taking part in the national event, providing everyone, regardless of age, background or experience, with the chance to get out on the water and discover the sport of sailing. The week-long Push the Boat Out 2015 will run from tomorrow, Saturday 9 May, to Saturday 17 May. All you need for any of the open days or ‘try sailing’ sessions is warm clothing, soft soled shoes and a waterproof if it’s raining. The clubs and centres will provide everything else! Booking may be required for some of the activities. Jackie Bennetts, RYA club support advisor, said: ‘RYA Push the Boat Out provides a fantastic opportunity to show people just how easy it is to get involved in sailing and windsurfing locally. Yachting World: A mini maritime rescue has appeared near the London Eye to raise awareness of the RNLI’s lifesaving work and the upcoming Alternative Boat Race. Street artist Slinkachu has recreated a lifesaving RNLI rescue that happened on the Thames last year to highlight the amazing work the charity does and raise awareness of the upcoming Alternative Boat Race. The artist, who is famed for his ‘little people’ miniature model set-ups, has crafted a scene depicting a genuine rescue from September last year, where RNLI volunteers went above and beyond rescuing a man trapped on a mooring cable beneath the London Eye. After arriving on scene, two RNLI crew rescued the man who was stood on the mooring cable of a boom after jumping from their lifeboat in choppy conditions to help him. Helen Church was one of the volunteers who aided the man in his precarious situation, getting him to the safety of the lifeboat. Once onboard, he was taken to Tower lifeboat station where he was handed into the care of paramedics from the London Ambulance Service. The RNLI relies on the generosity of the public to fund its lifesaving work and Slinkachu’s composition supports the Alternative Boat Race fundraising event on 10th April, taking place the day before the BNY Mellon Boat Race. Members of the public can sponsor one of 250 floating miniature lifeboats to be in with the chance of winning the right to name one of the charity’s new D class lifeboats. The race will kick off at 5.30pm, running between Barnes Bridge and the finish line at the University Stone, just before Chiswick Bridge. Slinkachu, who waived his fee for the RNLI to create the set-up, said: “I’m a proud Londoner and wanted to help highlight the vital job the RNLI does on the Thames to keep us all safe. “The crew members have to be ready to launch at a moment’s notice day or night to ensure they reach those in difficulty on the water as quickly as possible. It’s really important that the RNLI has the support of residents of London. Helen Church, who balances volunteering for the RNLI with her day job as a civil servant said: “I love being a volunteer for the RNLI and being a part of a team save lives is what it’s all about. “Considering the amount of people that use the Thames each day and how treacherous the waters can be, it’s surprising how many people aren’t aware of the RNLI’s work in London. Yachting Boating World: Director James Marsh will embark on a film depicting Donald Crowhurst’s yacht race attempt this spring with Colin Firth in the lead role. Yachting Magazine: Roger Federer and Lleyton Hewitt joined forces to promote a new style of tennis, make magic in process. Recently, Roger Federer and Lleyton Hewitt were brought together to promote a new tennis concept called FAST4. The result of a gimmick show turned out to be phenomenal footage of the two tennis stars hitting tennis balls back-and-forth between one another from speedboats. Pratical Boat Owner: Britain’s influential yacht designer David Thomas has died. 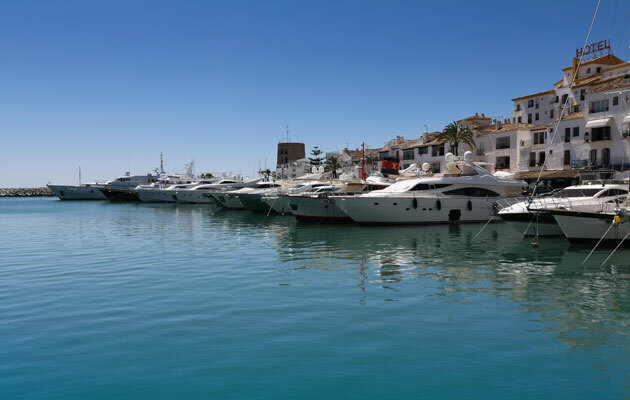 Earlier this year, the Royal Southern Yacht Club hosted its first David Thomas regatta in celebration of the yacht designer, who had been a member of the club for 25 years. Now tributes are pouring in for the UK’s most prolific keel boat designer. The main speaker was PBO contributor Peter Poland, a long-standing friend of David’s, who built many of his designs as co-owner of Hunter Boats. He said: ‘David has an instinctive understanding of what sailors want – he has been the Pied Piper of yacht designers, that’s his secret. The Royal London Yacht Club on Cowes, Isle of Wight also run an annual David Thomas-inspired regatta. Tim Bennett said: ‘The UK’s most prolific (and probably the best), keel boat designer has died. Motorboat & Yachting: The Royal Mint has released a new nautical-themed £20 coin to mark the 100th anniversary of the start of World War One. Nautical numismatics will surely delight at the new design from the Royal Mint, which depicts Britannia seeing off British ships at the start of World War One. The design was launched this week (24 September) to commemorate 100 years since the advent of The Great War, and aims to capture the art deco style that was prevalent at the time. Minted in fine silver, this collector’s coin is available to order for the face value of £20, although with the run limited to 250,000, that value is likely to rise over time. The limited-edition design follows a previous run of 250,000 £20 coins that were released last year and have already completely sold out. John Burgdahl, sculptor and designer, said: “I decided to use the figure of Britannia in order to represent all of the allies who took part, most of whom were British or drawn from the British Empire. Yachting Monthly: A once shy Cornish school pupil got a dream summer job at a watersports centre after her life was “transformed” by a confidence-boosting sailing adventure. Sian Van der Wolde, from Portscatho, formerly suffered from lack of self-esteem and would opt to stay in her room playing computer games rather than engage in social or outdoors activities. But when the 15-year-old returned from a free week-long sailing course run by Cornwall Marine Network – which is designed to build youngsters’ confidence – even her mum was amazed by how much she had blossomed. The teenager has since spent the summer interacting with watersports customers at Roseland Paddle and Sail. She has made new friends and has even been elected as a Roseland Community College prefect for the coming year. The Finding the Ropes programme was run by Cornwall Marine Network’s Cornwall Marine Academy department, which creates career progression paths for young people interested in working in the industry. The course undertaken by Sian develops confidence, teamwork, communication and basic sailing and life-saving skills. It was delivered by Falmouth School of Sailing and Trysail in Falmouth, with funding from the European Social Fund’s Freestyle Targeted Youth Support scheme.